Blue-White leaders Benny Gantz and Moshe Ya’alon face a libel suit by Prime Minister Binyamin Netanyahu. On Friday, March 22, Netanyahu announced he had instructed his attorneys to bring a suit against them for publicly accusing him of treason in their campaign rhetoric. He announced his decision on Facebook, asserting that the three Blue-White party leaders fighting to unseat him had crossed a red line “on matters of the greatest sensitivity to national security. Their lies are nothing less than a blood libel,” he wrote. Lapid was not named only because as a Knesset member he is immune from prosecution. Regarding the Blue-White leaders’ allegations that he profited illicitly from Israel’s purchase of submarines from Germany, Netanyahu stated that in 2007, while a Member of Knesset outside government, he invested in a private company producing original technology. That company did not manufacture submarines, steel or even the electrodes used in manufacturing steel. This company had nothing remotely to do with building submarines. As proof that the allegations against him are absurd, Netanyahu noted: “I sold those shares in 2010, a year and a half before the first submarine deal [with the German ThyssenKrupp shipbuilders] took place on my watch. That was two years before the German company sold submarines to Egypt. There could therefore be no connection whatsoever between these occurrences.” The attorney general has ruled his decisions regarding the submarine transaction with Israel and Egypt as motivated purely by security considerations. “And now for the most egregious lie: Lapid, Gantz and Ya’alon accuse me, who has devoted his life to this country, of treason.” That is “unbridled incitement” which crosses every line. Shame on you!” the prime minister writes, adding that he could on no account pass over what was nothing less than a blood libel against him. I am a Christian from Nigeria. 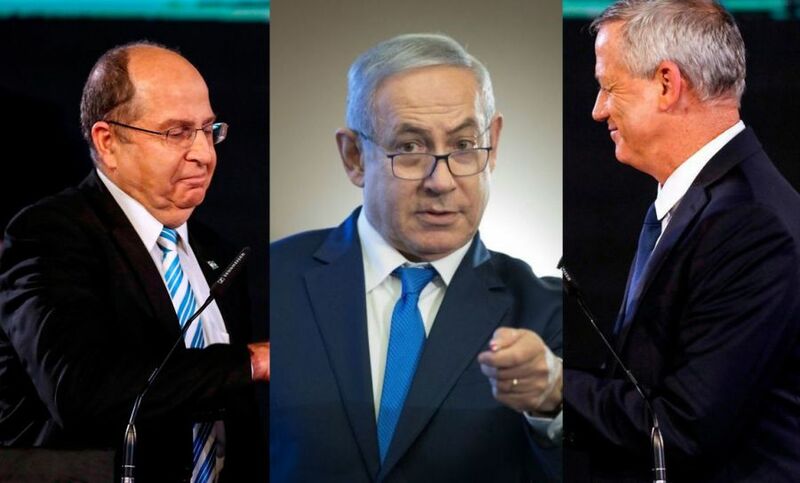 I pray that the leadership of our dear Israel should never fall into the hands of any of those three men. nor the disk jockey either — to be foreign minister?? he really foreign to ministry & government too despite impressing thousands of young children who can vote. time raise voting age to about 65, should be slight improvement. We regret to inform all our distinguished clients – Toys R Us HAS NO PLANS TO STOCK AND SELL GANTZ MASKS FOR PURIM 2020. Moreover, autographed masks are completely out of discussion. No enemy is more vile or dangerous to the Jewish state, than the totally corroded, corrupt Israeli politics…. I for one, I’m for the 2 state solution. Israelis living prosperous in state of peace and without foreign occupation on their land between Jordan and the sea; and Arabs living prosperous in a state of less terrorism and less auto-destruction, if possible, on their lands the other side of the Jordan river or all along the thousands kilometers from the Nile to the Atlantic ocean. Man, they have a large area, let us hope they make the right choice! IMO, if Gantz and his gang ever get elected, the special USA-Israel relationship will end. Furthermore, I fear Gantz will turn Israel into the Venezuela of the Mid-East.